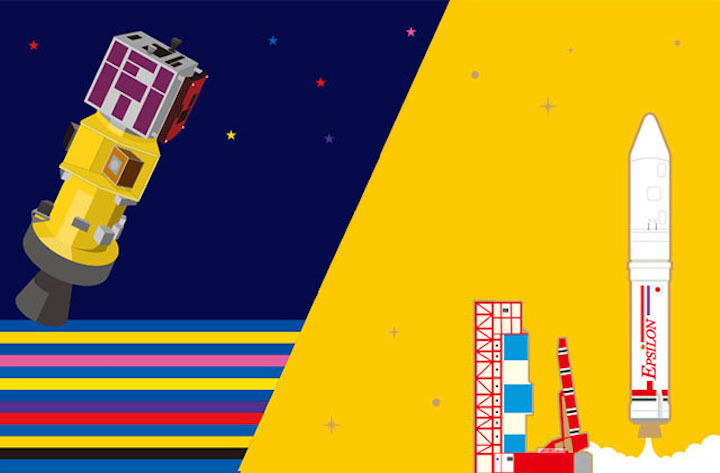 Japan Aerospace Exploration Agency will launch Epsilon-4, the forth Epsilon Launch Vehicle with the innovation satellite technology on board. The launch schedule is as follows. JAXA announces that the Epsilon 4 launch encapsulating the innovation satellite technology is scheduled on January 17, 2019. The launch window is 9:50:20 a.m. through 9:59:37 a.m., in Japan Standard time. ..
Japan launched seven spacecraft to Earth orbit today (Jan. 17), including a little satellite designed to create dazzling artificial meteor showers. he payloads rode to space aboard an Epsilon rocket, which lifted off from Uchinoura Space Center, on the Japanese island of Kyushu, at 7:50 p.m. EST (0050 GMT and 9:50 a.m. local Japan time on Jan. 18). If all goes according to plan, the seven spacecraft will settle into an orbit about 310 miles (500 kilometers) above our planet. "Through these demonstration experiments, we intend to strengthen the international competitiveness of Japanese satellite technology, promote space utilization and generate innovation," JAXA officials wrote in the mission's press kit. The primary payload on today's launch was the Rapid Innovative Payload Demonstration Satellite 1 (RAPIS-1), whose boxy body measures about 3.3 feet (1 meter) on a side. 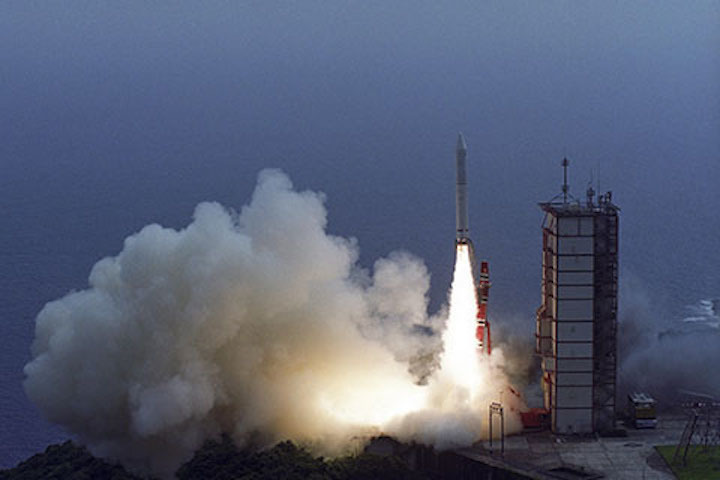 In a first for JAXA, the agency consigned the manufacture and operation of RAPIS-1 to a startup — the Japanese company Axelspace. 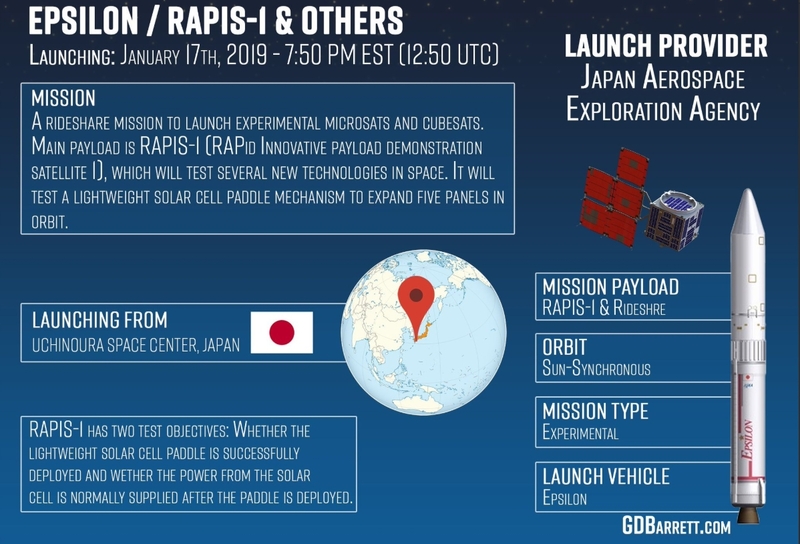 RAPIS-1 carries a variety of technology demonstrations, including a thin-membrane, paddle-shaped solar array; small thrusters that use low-toxicity propellant; a low-cost particle sensor; and "deep-learning" software that will aid attitude control and Earth observation. The six ride-along satellites include ALE-1, which was built by the Tokyo-based company Astro Live Experiences. ALE-1 is 24 inches long by 24 inches wide by 31 inches tall (60 by 60 by 80 centimeters) and is packed with 0.4-inch-wide (1 cm) particles engineered to create a sky show when they come down through Earth's atmosphere. ALE-1 and a few follow-on craft will "investigate feasibility of man-made meteors and [their] marketability," as well as provide data about Earth's upper atmosphere, Astro Live Experiences representatives wrote in a project description. Those first artificial meteors won't flare up for another year or so. ALE-1 will eventually deploy a drag-increasing "membrane," which will help lower the satellite's altitude by about 62 miles (100 km). Then, in the spring of 2020, it will deploy its first pellets — over the Japanese city of Hiroshima, if everything goes according to plan. The resulting meteors should be visible to more than 6 million people, across a region about 125 miles (200 km) wide, Astro Live Experiences representatives said. The other secondary payloads that launched today are the Earth-observation craft MicroDragon and RISESAT; OrigamiSat-1, which will demonstrate a "multifunctional deployable membrane structure"; Aoba VELOX-IV, which aims to prove out thruster and imaging tech for future moon missions; and NEXUS, a tiny (3.9 by 3.9 by 4.3 inches, or 10 by 10 by 11 cm) cubesat that will demonstrate three new types of transmitters for use in amateur satellite communication. These six spacecraft range greatly in mass, from NEXUS' 2.9 lbs. (1.3 kilograms) to 150 lbs. (68 kg) for ALE-1. This evening's launch was the fourth for an Epsilon rocket, which debuted in 2013. The 79-foot-tall (24 m) booster can loft up to 1,543 lbs. (700 kg) to a 310-mile-high circular orbit. 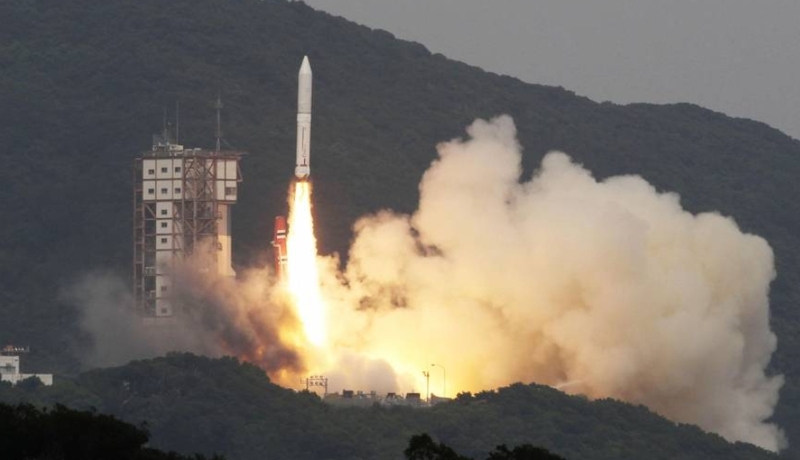 No previous Epsilon launch had ever launched more than one satellite at a time, JAXA officials said. A start-up based in Tokyo developed the micro-satellite for the celestial show over Hiroshima early next year as the initial experiment for what it calls a "shooting stars on demand" service. The satellite is to release tiny balls that glow brightly as they hurtle through the atmosphere, simulating a meteor shower. 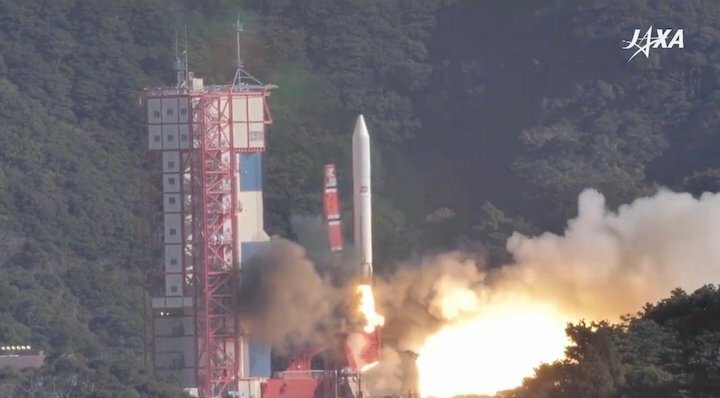 It hitched a ride on the small-size Epsilon-4 rocket that was launched from the Uchinoura space center by the Japan Aerospace Exploration Agency (JAXA) on Friday morning. 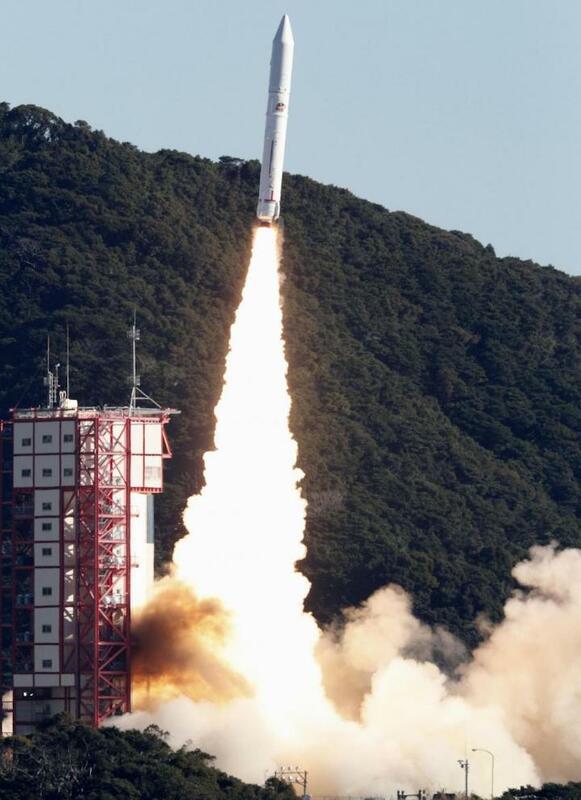 The rocket is carrying a total of seven ultra-small satellites that will demonstrate various "innovative" technologies, JAXA spokesman Nobuyoshi Fujimoto told AFP. The company behind the artificial meteor shower plan, ALE Co Ltd, plans to deliver its first out-of-this-world show over Hiroshima in the spring of 2020. The satellite launched Friday carries 400 tiny balls whose chemical formula is a closely-guarded secret. That should be enough for 20-30 events, as one shower will involve up to 20 stars, according to the company. 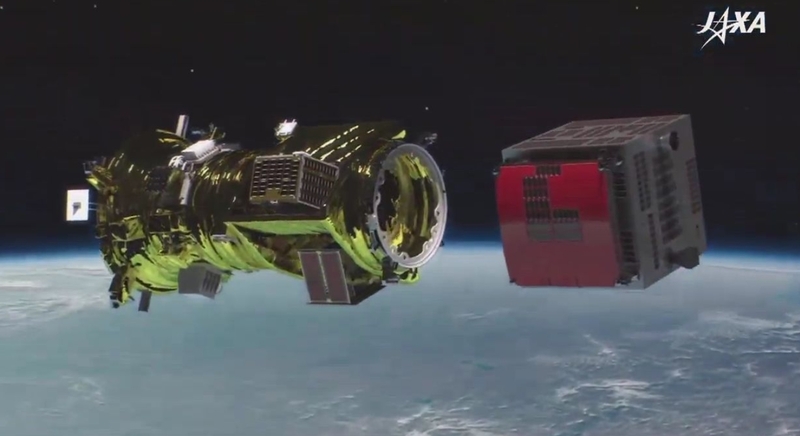 ALE's satellite, released 500 kilometers above the Earth, will gradually descend to 400 kilometers over the coming year as it orbits the Earth. The company plans to launch a second satellite on a private-sector rocket in mid-2019. ALE says it is targeting "the whole world" with its products and plans to build a stockpile of shooting stars in space that can be delivered across the world. Each star is expected to shine for several seconds before being completely burned up -- well before they fall low enough to pose any danger to anything on Earth. They would glow brightly enough to be seen even over the light-polluted metropolis of Tokyo, ALE says. ALE chief executive Lena Okajima has said her company chose Hiroshima for its first display because of its good weather, landscape and cultural assets. ALE is working in collaboration with scientists and engineers at Japanese universities as well as local government officials and corporate sponsors.